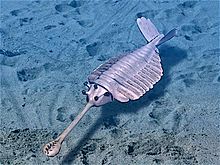 The Cambrian explosion is when many animal phyla first appeared in the fossil record. 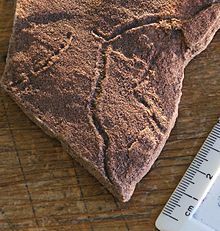 It happened about 530 million years ago (mya). Probably most had evolved before then, but that was their first appearance as fossils. 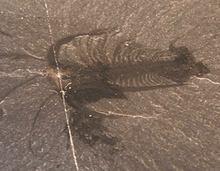 Precambrian marine diversity was dominated by small fossils known as acritarchs. This term describes almost any small organic walled fossil—from the egg cases of small metazoans to resting cysts of many different kinds of green algae. 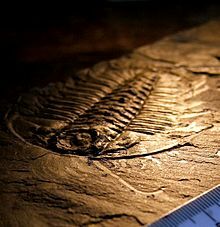 After appearing around 2000 mya, acritarchs had a boom around 1000 mya, increasing in number, diversity, size, complexity of shape and especially size and number of spines. Their increasingly spiny forms in the last billion years may indicate an increased need for defence against predation. Other groups of small organisms from the Neoproterozoic era also show signs of anti-predator defences. Measuring taxon longevity seems to show an increase in predation around this time. 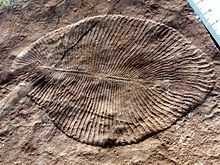 However, in general, the rate of evolution in the Precambrian was very slow, with many cyanobacterial species lasting unchanged for billions of years. Of course, bacteria are defined mainly by their biochemistry, especially their genomes. Changes in their biochemistry would usually leave no trace in the fossil record. Cambrian explosion Facts for Kids. Kiddle Encyclopedia.